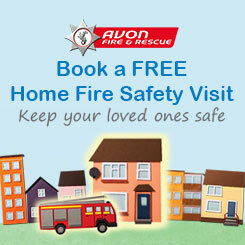 Avon Fire and Rescue Service is committed to serving the local community, ensuring a safer place for people to live, work or visit. Our Firesetters Intervention Scheme is key to this and the information we collect can help influence our future work and keep people and their property safe. Whilst we seek parental consent for the young person to participate in the Firesetters Intervention Scheme, any personal data that we collect and process will be in accordance the Data Protection Legislation, which we do within our performance of a task carried out in the public interest (Article 6(e)of the GDPR). This we do when performing our function as a Fire & Rescue Service, as it is in the public interest to promote fire safety. Any collection and use of special categories of personal data (sensitive personal data, such as health data) is also when performing duties for reasons of substantial public interest (Article 9 2 (g) of the GDPR). When processing any special category personal data for this purpose, we need to satisfy a further condition within the Data Protection Act 2018, which is specified in Schedule 1, Part 2 (6) ‘Statutory and government purposes’, as supported by the Fire Services Act (Part 6 ‘Fire Safety’), which provides us with ancillary powers to carry out fire prevention activities within our area. Information is collected by phone or email at the time of referral and during the visit, the Firesetter Advisor will collect information which will be recorded within a case booklet. When collecting any forms of special category information, this will be explained to all parties as part of the process. Following the visit, AF&RS may also anonymise the personal details for statistical purposes to record, monitor and evaluate our work. All information is transferred on to a database where it is stored and subject to AF&RS information security controls and policies. Handwritten notes are kept securely to assist the Firesetter Advisor in carrying out the intervention. Once the interventions have all been carried out, the notes are securely shredded. We will only share information about children and young people where the law and our policies allow us to do so. The Fire and Rescue National Framework for England states that we are expected to develop partnerships to support risk reduction services to those identified as vulnerable and wherever possible to share intelligence and relevant risk data. The new Digital Economy Act 2017 further supports public sector data sharing for the purpose improving or the targeting of a public service provided to individuals or households, which includes the well-being of individuals or households, such as their physical, mental health and emotional well-being and /or social and economic wellbeing. In the event that you do not wish for us to share your personal information, please discuss with this your Firesetter Advisor. Please note that we have a duty of care to pass on information such as where a child is at risk of harm (for safeguarding purposes) or when a criminal activity has been disclosed.